Do you struggle with growing your Instagram? Do you want to be more consistant not only with posting your images but also the way they look? 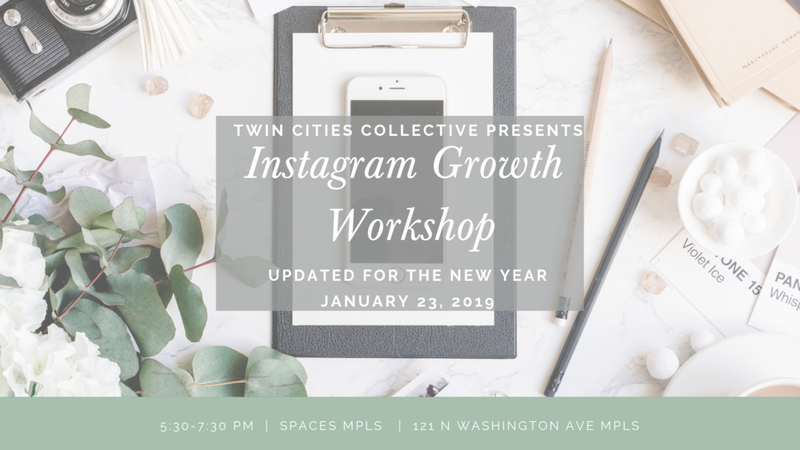 Twin Cities Collective is excited to have an instagram growth workshop held at Spaces in the North Loop on January 23th from 5:30-7:30 pm. With guest talks from a few instagram success stories as well as founder Jenna Redfield, you will learn more about how to grow your audience on Instagram. There will be some light snacks, a photo booth as well as time for networking. In addition, we are selling our TCC mug for $10 so make sure to pre-order that & pick it up the night of the event! Join our Facebook Group to get the discount code. There are plenty of parking lots in the area. January Saturday Brunch at "The Bird"